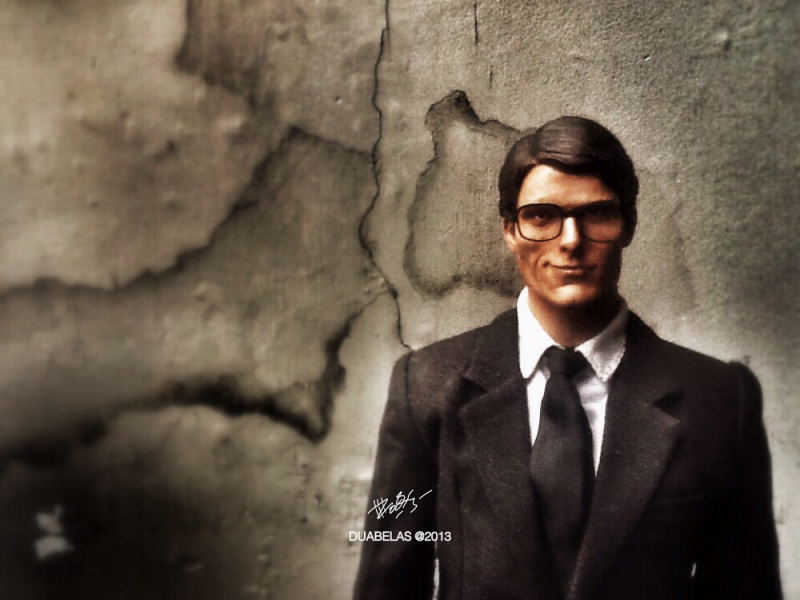 Longtime followers of SUPERMANIA may recall that in the wake of the Hot Toys figure (MMS 152) release, among the inevitable customs that followed one in particular by Duabelas Custom Works was standout. 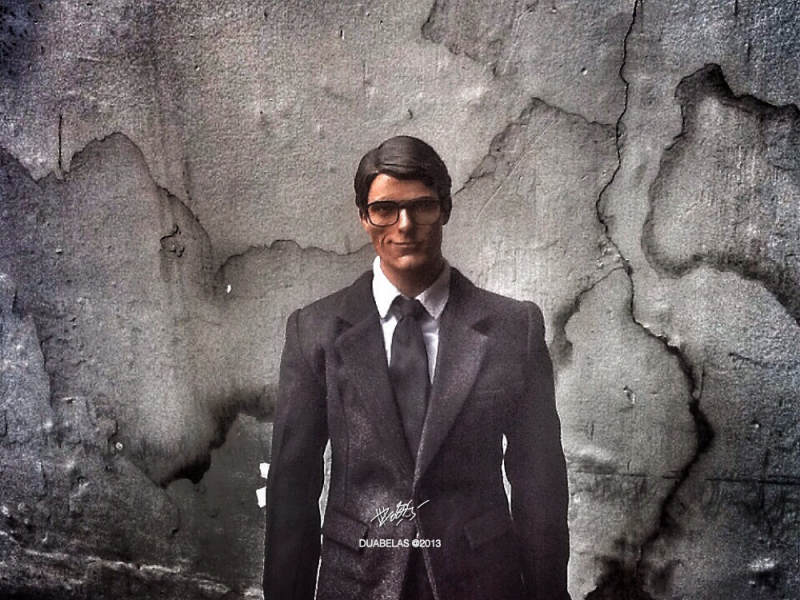 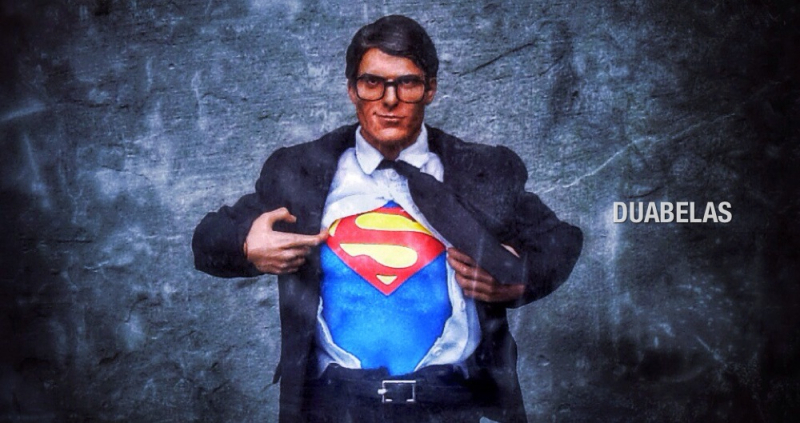 Following a fine example neatly set by SuperFan Michael Stribling last year, Duabelas has struck again, creating an entirely new sculpt of an instantly recognisable 1/6 Reeve Clark Kent that would be a perfect opponent for the recently released Toyfair Exclusive Superman III figure (MMS 207) . 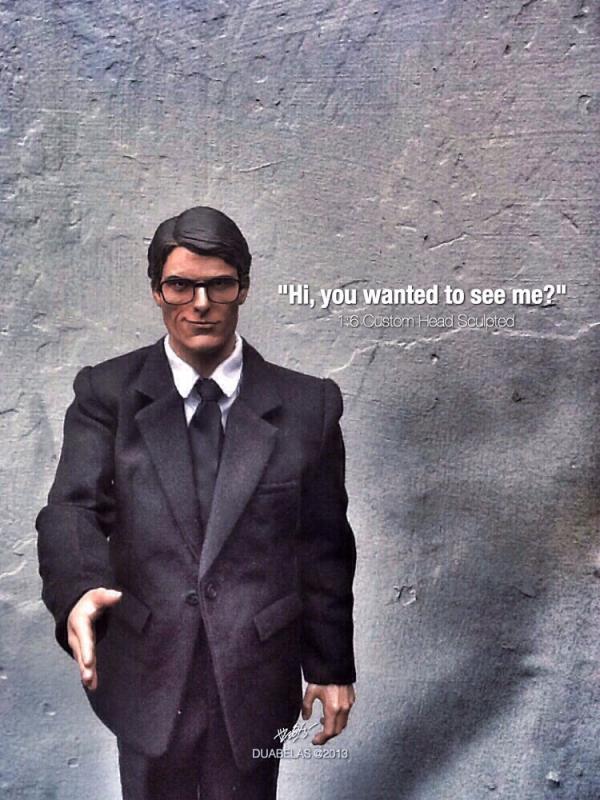 Though the glasses may not be 100% screen accurate, the wry smile is rendered perfectly and evokes the tongue-in-cheek characterisation remembered so fondly.